When Walker County was created in 1835, no provision was made for a county seat, but the designation soon went to the town of Chattooga. 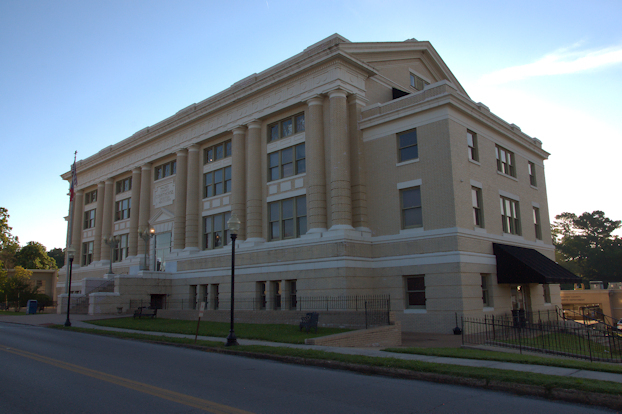 The town’s name was changed to LaFayette in 1836 and the first courthouse was built in 1838. It burned in 1883 and was replaced with a brick courthouse, which served until construction of the present structure was completed in 1918. Charles E. Bearden was the architect. Walker County, along with Bartow, Bleckley, Chattooga, Murray, Pulaski, Towns, and Union, is one of the last remaining counties in the United States to utilize the “sole commissioner” form of government. Controversial due to the fact that one official holds all the executive and legislative powers of the county, the system has recently been criticized by state legislators. In almost all counties with this system, however, there are public meetings to allow community input. My hometown,lived here all my life,Love small town America! Well I absolutely loved my visit to LaFayette and only wish I’d had more time there. I will definitely be back to Walker County! You should come to Chickamauga! Love LaFayette, been in Walker County most of my life!